Private Midweek Paintballing events with bespoke timing for you and your work squad! Are you looking to motivate or reward your staff? Or build better cohesion or camaraderie within a team? 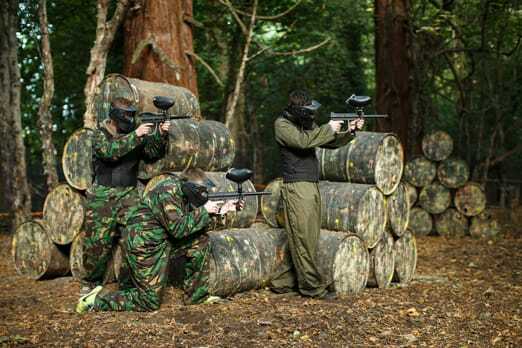 Then welcome to GO Paintball London’s exclusive and private corporate events! No minimum number of players. Price is fully inclusive of ammo, all equipment and food. 400 paintballs each minimum for your session. Have fewer players? Get more ammo for each player! for each additional player, including extra ammo per person. 150 player capacity per event. ​Being a paintball hero can be hungry work, so you’ll receive a 9″ pizza and a drink included per person. Full use of our forest venue and private game maps for your event! We offer full day/half day or even a few hours to suit your bespoke needs perfectly. 1st venue in the world to offer Etek Assault Rifles and Etha Sniper Rifles, all available on the day. Organisers receive an Assault Rifle free of charge! ​All included – new technology standard issue rifles, the best ‘Anti Fog’ goggle systems and camo overalls. Body armour is also available for free for extra confidence. ​The best, professionally trained staff to host your private event to the highest standard. 5* TripAdvisor rated. 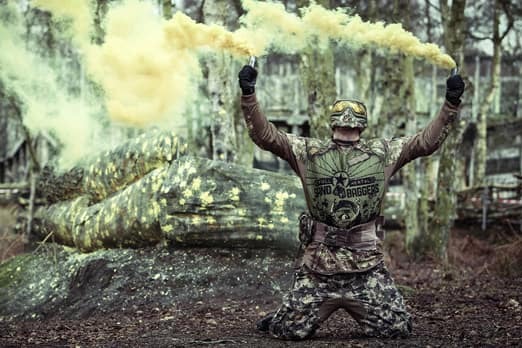 Paintball is still the best ‘team building’ event out there for companies and teams of all sizes, for so many reasons. 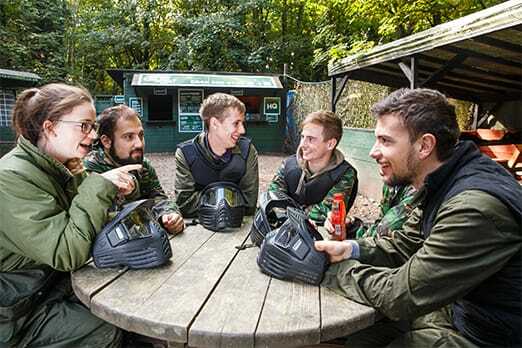 Away from the confines of company structure, employees learn to work together and build in confidence whilst completing set challenges together, all whilst having an awesome time playing paintball! Long gone are the ‘macho’ only Paintballing work events. 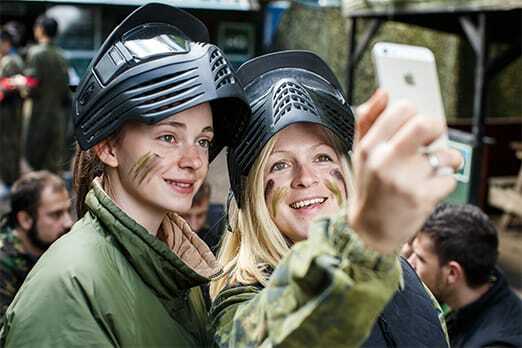 Due to brand new Paintballing technology and the best handpicked equipment and Ammo, events at GO Paintball London are completely inclusive with the more timid to the brave hearted all being able to find a way to shine throughout a Paintballing event with us. 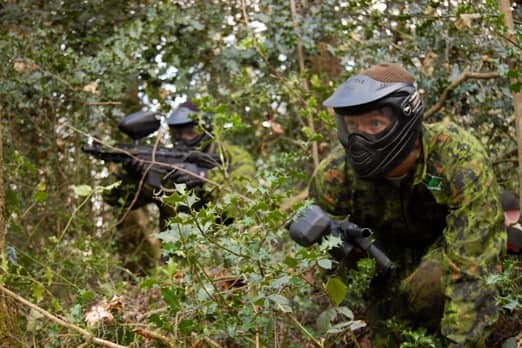 All of our Midweek Corporate Paintball events come inclusive with all of the best ‘standard issue’ equipment available, 8,000 Paintballs minimum so everyone can get fully involved, along with 9″ Pizza Hut pizzas and a drink, keeping every player well fuelled until home time. These events are Private, so you’ll only playing games amongst your colleagues, with the best dedicated staff with you throughout, to help you to get the most out of your time with us. Timings are bespoke also, running full days, half days, to a couple of hour sessions depending on your needs. We do offer affordable upgraded ammo packages also if you would want to load everyone up with more Paintballs to get even more stuck in. As a current Special Offer, the Group Organiser of any Private Paintballing event will receive 1 FREE Etek Assault rifle (worth £20) to use for the day!